HBO’s Larry Merchant explores the possibility of a Buster Douglas verses Mike Tyson re-match after Douglas’ devastating knockout of Mike Tyson in the 10th round of their 12 round undisputed heavyweight championship fight on February 11, 1990 at the Tokyo Dome in Tokyo, Japan. The knockout was so unexpected….since Iron Mike seemed to be invincible while going into the fight as a 42 to 1 favorite….with a record of 36 – 0. 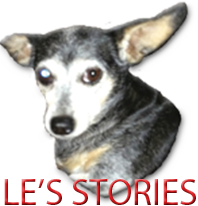 Personally, this lil ole chiweenie Sportsphile just loves these in-studio discussions of possibilities that never come to fruition….for Douglas and Tyson would never come close to fighting each other again…..as Tyson’s personal life would go into a tailspin shortly after this fight…. which would affect his entire boxing organization….resulting in Iron Mike Tyson never returning to the dominant fighter that he was when he fought Frank Bruno in the match before Douglas.